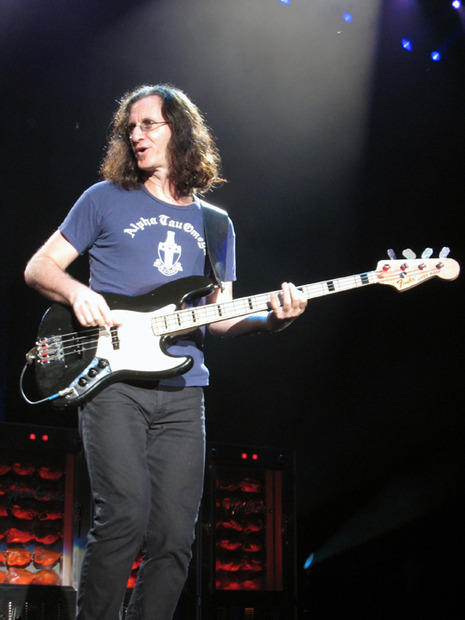 Geddy Lee, OC (born Gary Lee Weinrib; July 29, 1953) is a Canadian musician, best known as the lead vocalist, bassist, and keyboardist for the Canadian rock group Rush. Lee joined Rush in September 1968 at the request of his childhood friend Alex Lifeson in order to replace frontman Jeff Jones. An award-winning musician, Lee's style, technique, and skill on the bass guitar have proven very influential in the rock and heavy metal genres, inspiring such players as Steve Harris of Iron Maiden, John Myung of Dream Theater, Les Claypool of Primus, Cliff Burton of Metallica, and Juan Alderete of The Mars Volta. In addition to his composing, arranging, and performing duties for Rush, Lee has produced albums for various other bands, including Rocket Science. Lee's first solo effort, My Favorite Headache, was released in 2000. Along with his Rush bandmates—Lifeson and drummer Neil Peart—Lee was made an Officer of the Order of Canada on May 9, 1996. The trio was the first rock band to be so honoured, as a group. On May 1, 2007, Rush released Snakes & Arrows, their eighteenth full-length studio album. Lee and the rest of the band recently toured in support of Snakes & Arrows across North America, which began in Atlanta, GA on June 13, 2007 and ended its second leg on July 24, 2008.